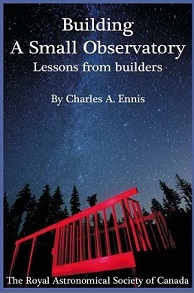 This book is the result of interviews with 140 small observatory owners in 10 countries to discover what it takes to fund, build, and operate a small observatory. As a planning guide, it will help you maximize your chances of successfully creating a trouble-free installation, and help find the best site and equipment. Learn from the experience of those who went before you. Don't make the mistakes that others have made!